Maxime Chouinard has been studying martial arts for 16 years starting with Kyokushin Karate and beginning to discover weapons with kenjutsu. He discovered HEMA in 2002 and since then has been mostly interested in historical martial arts from the 18th to the early 20th century. 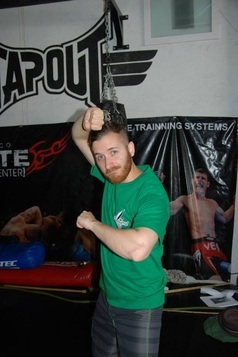 In 2007 he discovered a traditional style of Irish stick fighting and since then has been researching the history of this little known martial art. Maxime currently heads the style of Antrim Bata and teaches 19th century martial arts at the Kingston Irish Fighting Arts and Hyoho Niten Ichi Ryu at Kingston Niten Kai in Kingston Ontario. Maxime also has the chance of working in the field of history as the curator of the Museum of Health Care.